Conventional wisdom suggests it takes 30 days to make a new habit. 30 daily repeats of your new habit and it’s ingrained and you’re good to go, right? 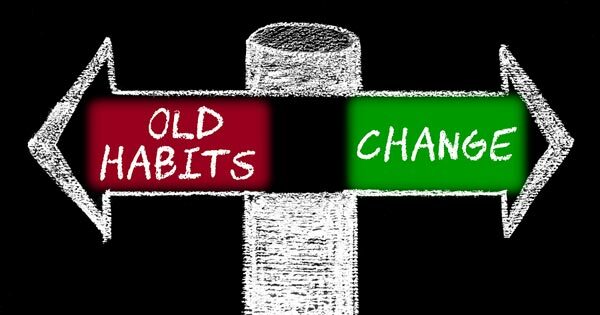 If you’re not nodding your head by now then you likely know that making a “new” habit is easier than changing one that’s been with you for years. And even instilling new ones can be much harder than just following the “30-days to a new habit” mantra it suggests. In both instances life, and its many distractions, gets in the way and everything becomes so much harder! How would you like some help? I’ve developed a short (8 minutes) MP3 session as a reinforcement for your desire to change that I want to give to you today at no cost – FREE. Now full disclosure here – this is not a “magic pill” self-hypnosis session where if you play it for 30-days any change you want to make about your life will materialize and you will be wealthy, healthy, and wise! It could happen, but… the real work of change happens inside you and before anything can change, YOU have to make the CHOICE to CHANGE. No hypnotherapist or self-hypnosis session can MAKE you want to CHANGE. Getting out of the bad habit groove that stops change. Triggering your subconscious mind to power your decision to change. Feeling in control of your new path. Having fun while you change and letting go of the past. Visualizing a world after your transformation. Listen to this MP3 last thing at night immediately before you go to sleep.